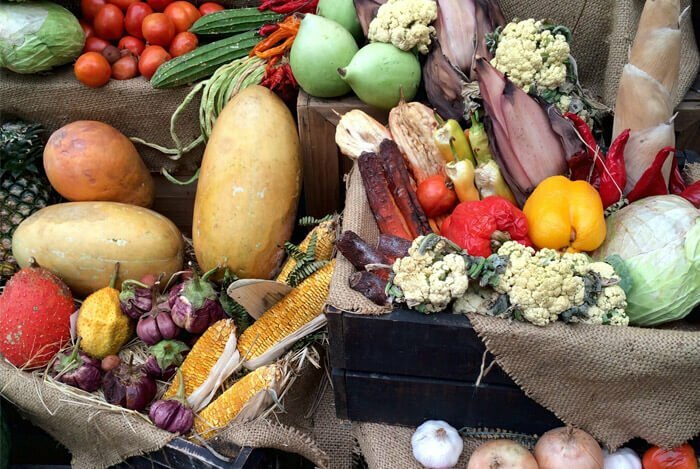 You’re so excited to bring home your bounty of fresh fruit and veggies from your trip to the farmer’s market or grocery store that you’re literally bursting at the seams. You have big plans for these babies — BIG plans. From delicious vegan meals to a slew of impressive kale recipes, these fruits and veggies are going to be so yummy you literally have to hold yourself back from eating all of them the minute you get home. But then life gets in the way — you have to stay late at the office, your train breaks down on the way home, your kids decide they want to make you breakfast for dinner — and you don’t get a chance to use your produce as quickly as you had anticipated. Then to your total dismay and disappointment, you finally reach for them and discover tiny mold spores, soft, rotting flesh, and a swarm of flies. UGH. There’s nothing worse than wasting good food and your hard-earned money. That’s why today I’m going to share 12 of my favorite hacks to keep your fruit and veggies fresher for longer. But first, let’s talk about the science behind why your produce may be spoiling quicker than normal. What Makes Fresh Produce Go Bad? The silent destroyer of your produce is actually a naturally occurring gas called ethylene. You can’t see it or smell it so you never know where it is or how much your fresh produce is being exposed to. It’s sometimes known as a “ripening gas” because fruits produce ethylene when they start maturing. Farmers use ethylene commercially to make sure their fruits are ripe when they go to market. But too much of it will cause your produce to become overripe and gross. For example, pears and apples love giving off ethylene the more they ripen. Ethylene helps these fruit get softer, gives them more color, and makes their texture more palatable. Ever eat an unripe apple or pear? They’re super crunchy and don’t have much flavor. Conversely, other fruits such as blueberries and cherries don’t give off tons of ethylene and they ripen just fine without it. 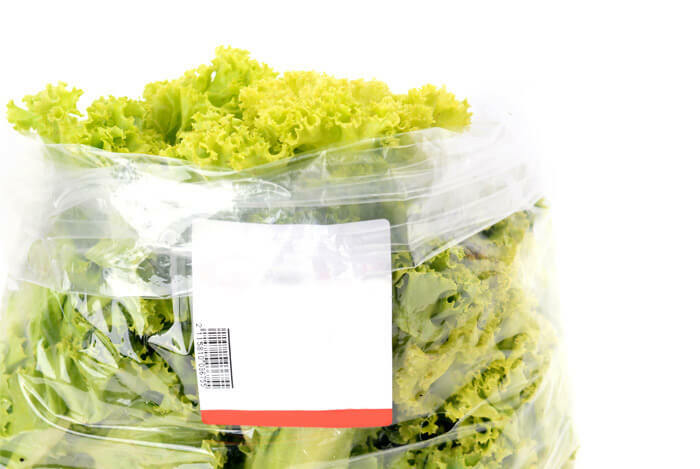 The trick to making your produce last longer is controlling the release of ethylene. Try some of these clever hacks to make your produce last until you’re ready to savor it. 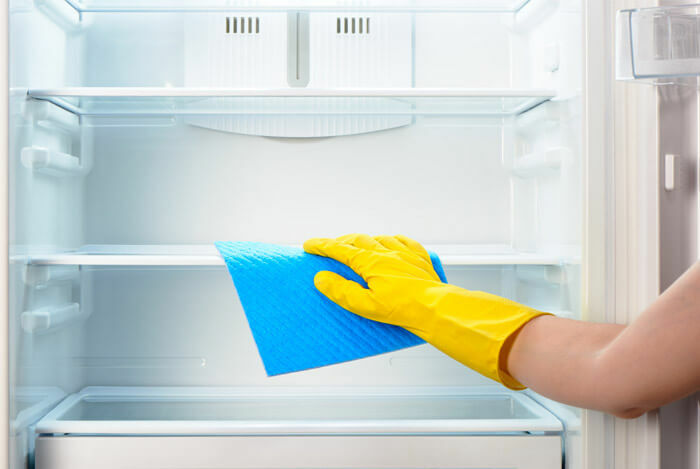 It can be a pain to keep your refrigerator clean. You have to keep on top of unintentional spills, molting fresh herbs, and molding leftovers hiding in the deep back corner of your cold abyss. But logic stands to reason that the more mold activity in your fridge, the quicker your new produce will become contaminated. Another thing to keep in mind: make sure you don’t crowd your fridge. Keeping open spaces allows for better airflow and circulation and even keeps the inside temperature at an optimal level. When there’s too much food in your fridge, it’s hard to keep the temperature cool enough to prevent spoilage. Plus, when you crowd produce that’s giving off ethylene gas, you unknowingly expose it to very high levels of the ripening agent, speeding up decay time. Try to store your fruits and veggies in the separate produce bins, bottom drawers, or the middle part of your fridge to keep them fresh at a consistently cool temperature. When you place your produce in the door of your fridge, the temperature is going to be inconsistent because you’re opening and closing the door so much. Keeping your fruit and veggies intact not only maximizes its nutritional potential, but it also keeps spoiling at bay. Cutting up apple slices exposes the flesh to the air, speeds up spoiling, and causes some of the nutrients to be lost before you even have the chance to enjoy them. 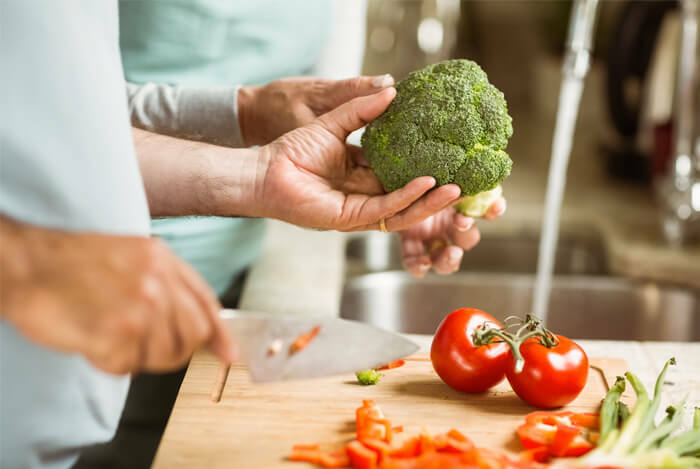 If you need to cut your produce before you eat it, make sure to seal in the goodness by creating a dressing that will coat the cut fruit or veggies and create a barrier from air degradation. You see that bag of fresh salad in your fridge and it looks beautiful. You can’t wait to taste those crisp green kale leaves – hello, delicious superfood! But then you pick up the bag and notice that the leaves in the bottom half of the bag are turning brown, look soggy, and feel slimy. Yuck! There are several theories online about the best way to store salads and greens, and The Kitchn tested the three most popular ones. They discovered that placing your salads and greens in a large plastic Tupperware with a few paper towels helped keep the greens freshest the longest. The paper towels actually absorbed all the excess moisture in the salad and kept the leaves crisp instead of wilted. Replace the paper towels when they get soaked and you’ll have fresh picked salad to your heart’s content. Ever notice that your mushrooms get super slimy and develop brown spots when you leave them in the same plastic-wrapped package you pick them up in? That’s because moisture is a mushroom’s worst nightmare. 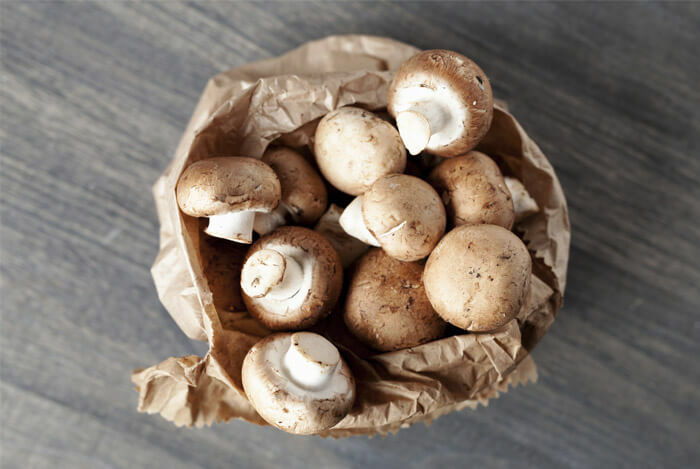 Keep your mushrooms dry by storing them in a brown paper bag in your fridge. The paper works the same way as a paper towel in your salad greens; it traps the wetness and allows a bit of breathability so your mushrooms stay fresh. Stay away from plastic Tupperware or glass containers as they don’t allow moisture to escape like paper bags. And never put mushrooms in the produce bins in your fridge, which are designed to keep in moisture. When you buy a bouquet of flowers, you immediately place them in a vase with water. We all know that cut flowers don’t last very long without this crucial step. Well, what’s the difference between stalks of flowers and stalks of herbs? Other than the colorful blooms, fresh herbs should be treated almost the same as fresh cut flowers. 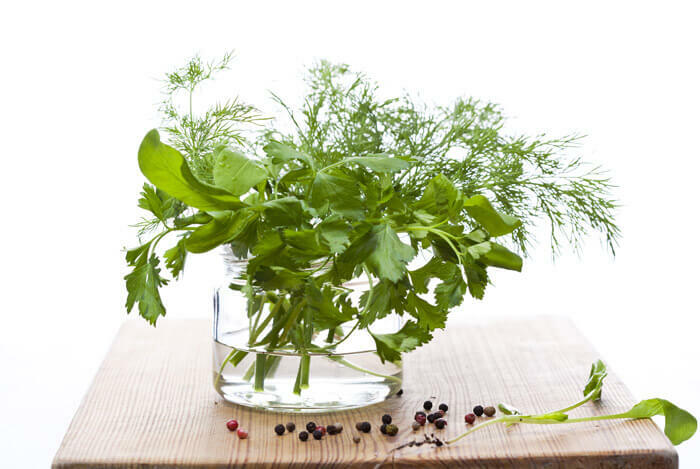 Buy a few inexpensive mason jars, place your fresh herb bouquets in them with some water, and arrange them on your counter or in your refrigerator. They will last much longer than cut herbs without water. Just like flowers, you can also dry your fresh herbs to make them last longer. All you have to do is tie the stalks of your herbs together with some string or twine and hang them upside down in your kitchen. If you like cooking with herbs and olive oil, you can make your own flavored oil cubes. Cut your herbs up and place them in an empty ice cube tray. Add your favorite healthy oil, such as olive oil, and freeze. Now you’ll have fresh herbs in delicious oil whenever your recipe calls for it. PS: You can also arrange asparagus the same way; just trim the stalks, place them in a jar with water, cover the top with a plastic bag, and refrigerate. Never throw out a slimy bunch of asparagus again. 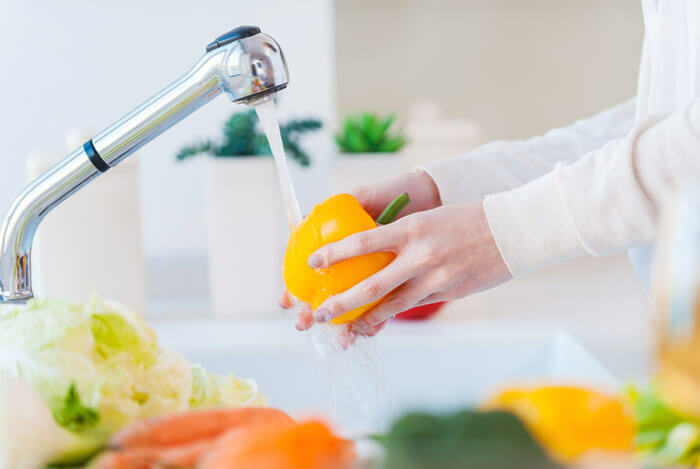 Washing your fruits, berries, and veggies in a mixture of 1 part white vinegar to 10 parts water will ensure that they’ll be shiny clean, have fewer pesticides, and will be a bit more resistant to the mold monster. 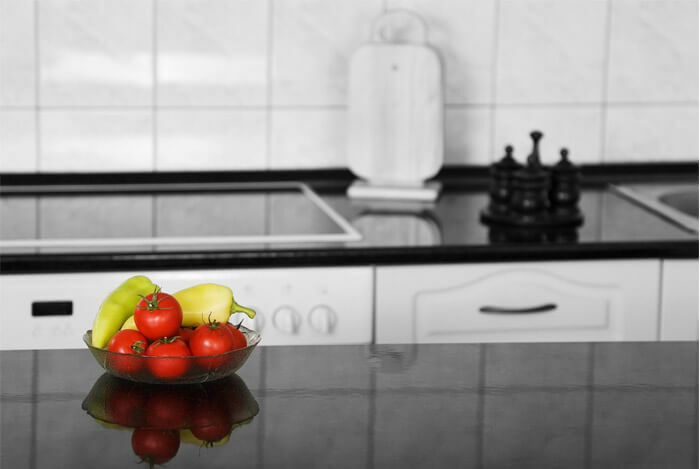 Rinse your veggies after their vinegar bath and make sure to dry your produce really well to ensure you don’t have soggy produce that will actually attract mold. If you have a hard time keeping your onions from growing green stalks and going bad, grab an old pair of pantyhose (or buy an inexpensive pair if you’re a dude) and place your onions one at a time inside the legs. 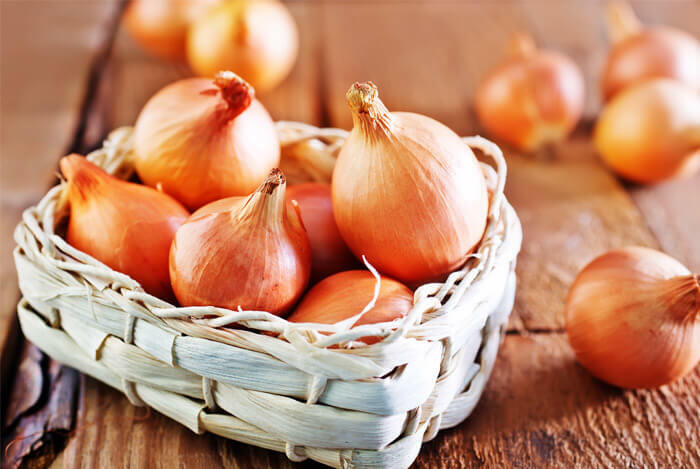 Tie a knot between each onion and then hang them from the ceiling in your kitchen or pantry. This will keep your onions fresh. The old wives’ tale is true: if you have a not-so-fresh looking apple in your bag of fresh orchard-ripened picks, make sure to toss it ASAP. This goes for all your other produce too. The more ripe a piece of fruit is, the more ethylene gas it throws off. When grouped together, that large concentration of ethylene gas coming off that one overripe fruit will contaminate all the other normally ripening fruits. Plus, that rotten apple already contains a colony of mold that’s all too eager to spread and colonize your entire fruit basket. Stop the domino chain from starting and discard questionable rotting fruit as soon as you spot it. Tomatoes need to be kept at room temperature. When you refrigerate tomatoes, the cold damages the membranes inside the fruit’s cell walls, which makes the tomatoes lose their flavor and develop a mealy texture. Keep those tomatoes naked – tomatoes hate being trapped in plastic bags where moisture can’t escape. When tomatoes get too much moisture, their chances of spoiling increase. Stone fruit such as peaches, nectarines, and plums should be stored at room temperature and placed stem side down. Here’s a biggie I never knew until recently: cucumbers should also be stored on the counter out of the cold to last longer. According to the University of California, Davis, cucumbers are sensitive to temperatures below 50°F. Stored below this temp, the cucumbers become prone to developing “chilling injuries”, which means accelerated decay. What’s your take on these food storage techniques? Have anything else you’d like to share? Let me know in the comments below!